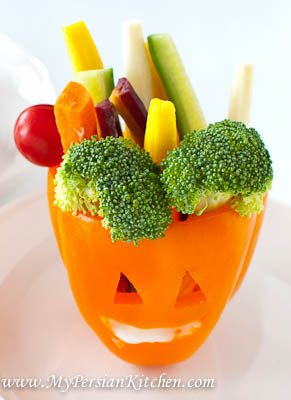 In light of today being Halloween I thought I’d post a fun and healthy snack idea. 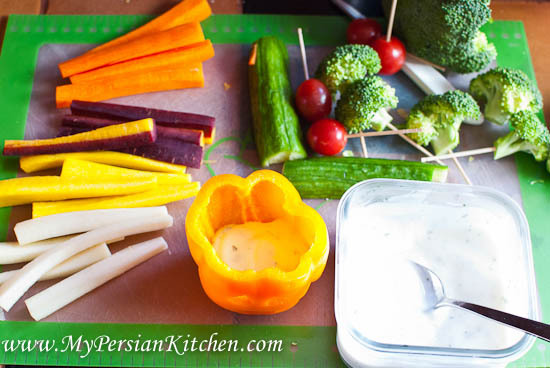 I have been eating a lot of vegetables with yogurt or hummus as a healthy snack option. 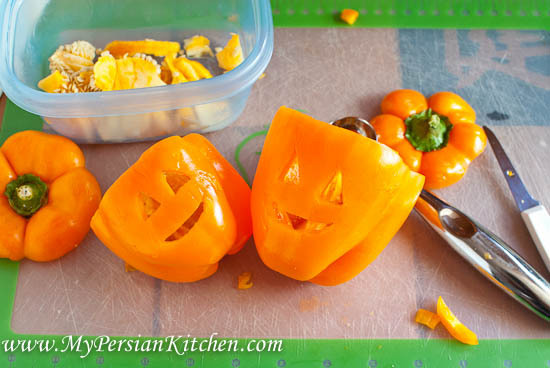 The idea for these fun orange bell peppers carved to look like Jack O’ Lanterns came from the good old Pinterest while I was searching for stuffed vegetable recipe inspiration for a cooking club that I belong to. I wanted something different and not your atypical cooked stuffed vegetables. Then I realized I can “stuff” peppers with my favorite snacks and some dip. The amount of ingredients for these peppers will vary depending on how many you’l be making. But the below recipe is for 4 stuffed peppers. I have a confession to make. Ranch dressing was an acquired taste for me when I moved to the US. Nowadays I only love ranch dressing with French Fries. I don’t like the traditional Ranch dressing to dip my vegetables in. 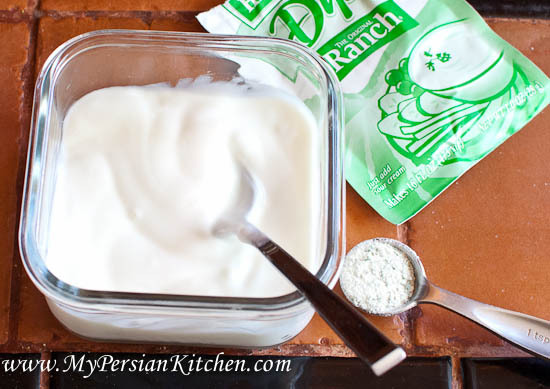 But what I do like though is a little bit of the store bought Ranch dressing mixes with yogurt to add some zing. 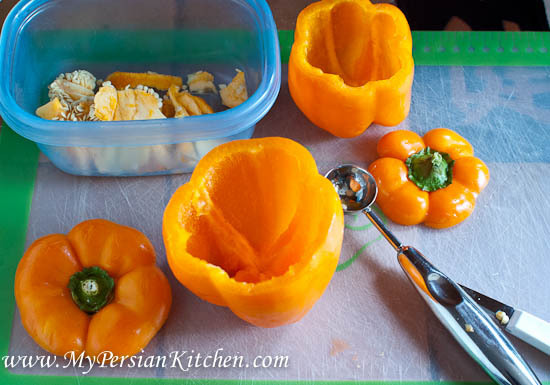 Cut the top of each bell pepper and scoop out seeds and remove the membranes. 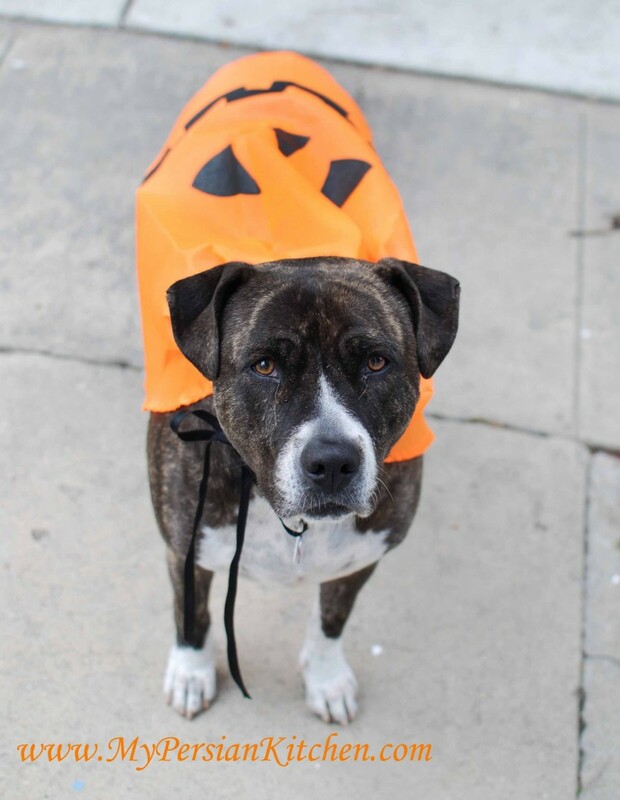 Carve out the eyes and mouth of the Jack O’ Lantern. I am not terribly good at carving out faces! 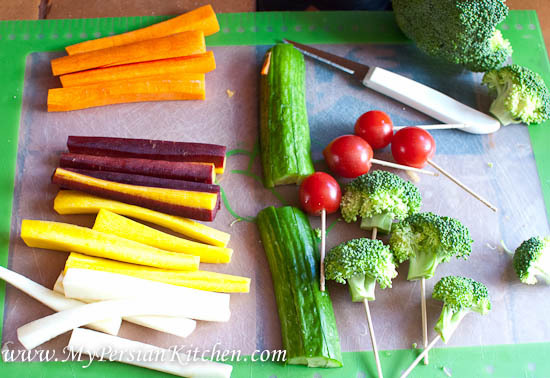 Cut vegetables in sticks. 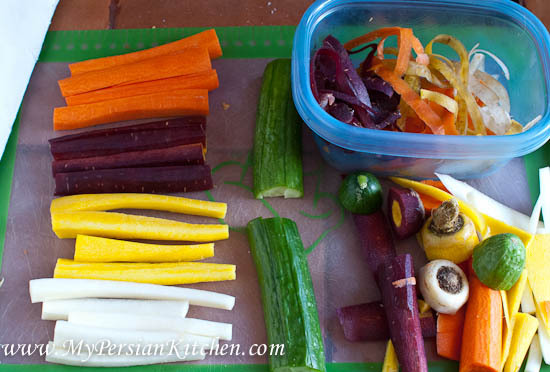 I used multi-colored carrots to add a bit of color. Add toothpicks to tomatoes and broccoli florets. 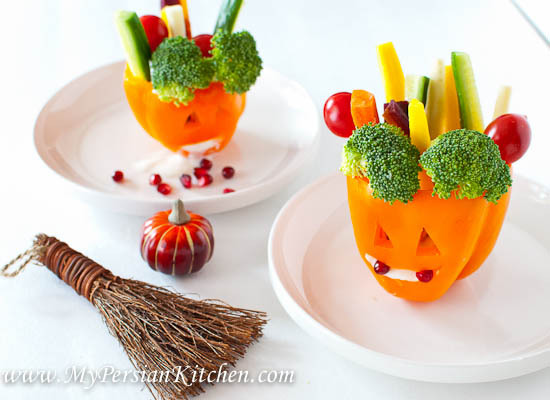 Place two to three tablespoons of the yogurt and ranch dressing mix to each bell pepper making sure that the dip does not go over the hole where the mouth of the Jack O’ Lantern. Divide the vegetables among the bell peppers making sure that the broccoli is in the foreground. That’s pretty much it!